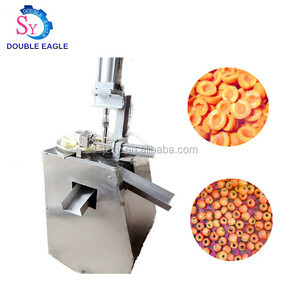 2.Cherry pitting/core removing machine features: 1. 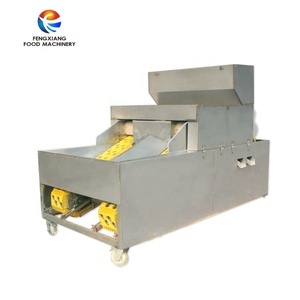 The machine is used to remove the fruit core cleanly and take less meat. Low price automatic industrial cherry pitting machine with special design Delivery time Normally, 5-7 working days after received your payment. 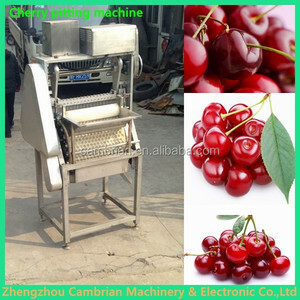 Low price automatic industrial cherry pitting machine with special design 1. Are you factory9 Susie: Yes, please contact me,I will show you more details. Processing vegetables: Cabbage, mushrooms, asparagus, bamboo, carrots, radishes, peppers, Chinese cabbage, tomato, sword beans, green beans, edamame, lotus, common teenage, taro, yam, pomelo, broccoli, corn, garlic bolt, edible fungus, potatoes, squash, onion, etc. we can product the design drawing according to your requirements,we will satisfy you. we are located in Shanghai,China,you have any need,welocme to our factory. 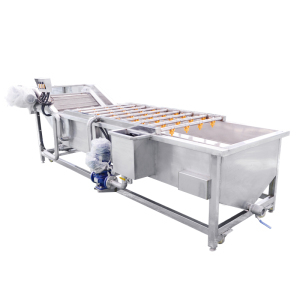 All the parts touching food are made of 304 stainless steel which can keep the juice clean and health. Screw spindle rotation direction from the feed hopper to slag trough direction, as the clockwise direction. 2,Send the machine picture which you order , then packing it with standard export wooden box after you confirm the machine is ok .
4 YRS Henan Gems Trading Co., Ltd.
2. Plum from the screen hole falls into the pitting position, and pitting needle easily move out of seed. 4. Machine construction is completely made of stainless steel, assures food hygiene standard and safety. 2. Operating video & instruction will be sent to clients, to help them better use the machines. Technical explanation: 1.The fruit and vegetable can tumble freely on the roller by the rotation and revolution designing. 2.The fruit and vegetable can be more sanitary and clean with the second time spray cleaning. 3. 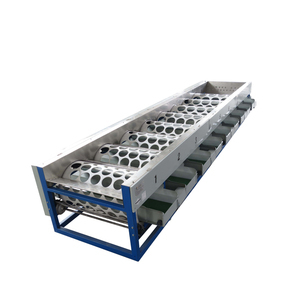 It is applicable to various fruit and vegetable processing factory, leisure food processing plant and other food processing. 2. 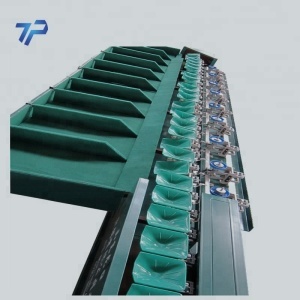 Efficiency and sort grade is adjustable by different diameter of the gap. 3. The machine is fitted with soft nylon rollers to rotate their own axis. 6. We can customize this machine according to the requirement of customers. 3 YRS Shanghai Genyond Technology Co., Ltd.
, Ltd, Shanghai juyuan machinery Co. Ltd, Jiangsu Jierong machinery Co. , Ltd, Jiangsu Jiangyin fengyue machinery Co.
demanding shape materials, suitable for: vegetables, fruits, aquatic products and other granular, leaf, root and other products. 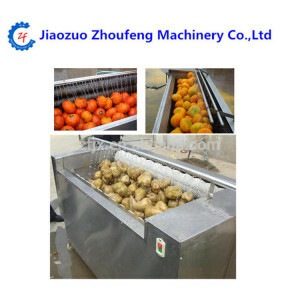 Fruit and Vegetable Washing Machine The machine is widely used for cleaning carrots, hawthorn, apple, orange, mango, jujube,date etc. demanding shape materials, suitable for: vegetables, fruits, aquatic products and other granular, leaf, root and other products. Alibaba.com offers 6,373 peach machines and products. About 2% of these are filling machines, 1% are other packaging machines. A wide variety of peach machines and options are available to you, such as free samples, paid samples. 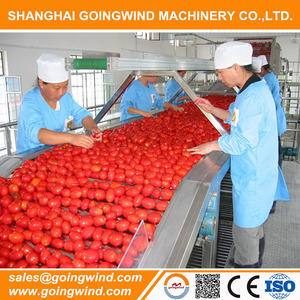 There are 6,373 peach machines and suppliers, mainly located in Asia. 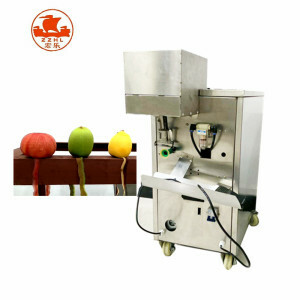 The top supplying country is China (Mainland), which supply 100% of peach machines and respectively. 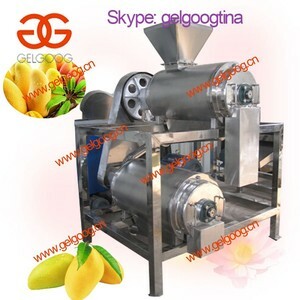 Peach machines and products are most popular in Africa, Domestic Market, and North America. You can ensure product safety by selecting from certified suppliers, including 1,837 with ISO9001, 1,033 with Other, and 168 with OHSAS18001 certification.